Also on Whidbey Island is the town of Coupeville, WA. It is about 20 minutes south of Oak Harbor and has a lovely main street along the waterfront. On the day we visited there was a sailboat race taking place out in the harbor. 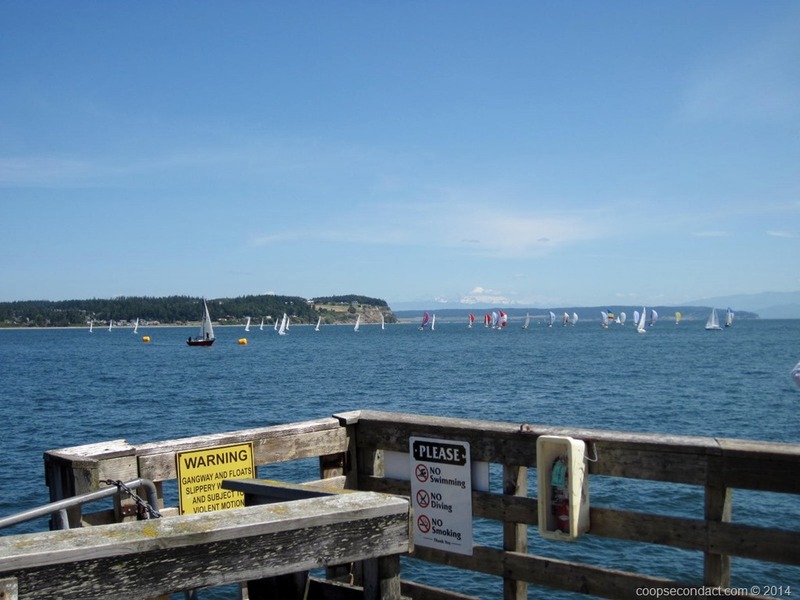 We’re not sure where the sailboats came from since Coupeville doesn’t really have a marina. Our visit also coincided with their Farmer’s Market so we took a look at that as well. One of the joys of taking a road trip is to be able to sample local foods in different parts of the country. Whidbey Island, and specifically Penn Cove is a source for mussels for this part of the Northwest. Penn Cove is just around the corner from Coupeville. 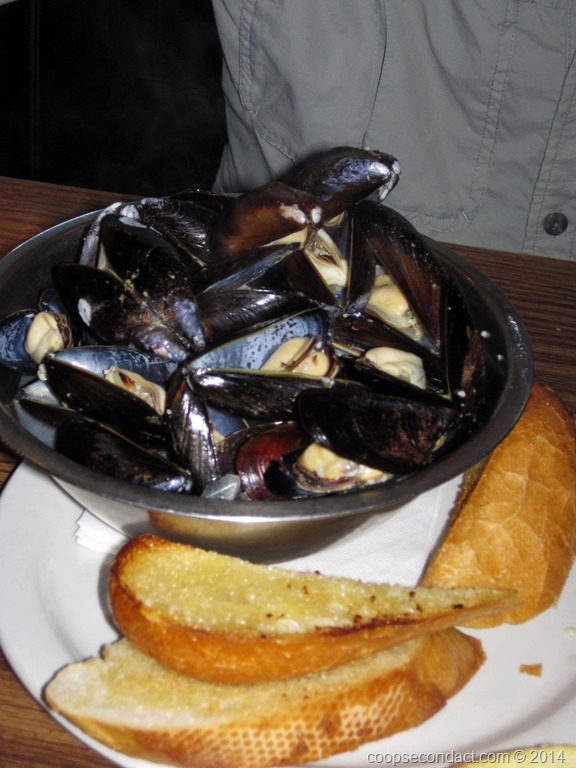 We stopped into Toby’s Tavern to sample some of the local mussels. We had one pound of the steamed mussels in a garlic broth along with toasted garlic bread for dipping. Delish.